18 Saturday Therm[ometer] 6 A.M. 14°, noon 25°, 8 P.M. 25° About 2 inches of snow fell over night. Wind A.M. NW. Brisk drifting some. Changed to NE. P.M. light. Ice gorged up all the river in sight last night. Broke about noon and cleared out. First published in 1940, The Long Winter, by Laura Ingalls Wilder, is set in South Dakota during the severe winter of 1880-1881. Unlike many of Wilder’s other works, The Long Winter contains far less fiction, and is, for the most part, an accurate account of the winter of 1880-1881. Remembered in history as “The Snow Winter,” frontier towns were left isolated and without food or supply shipments when deep snows made the Chicago and North Western Railway impassable for trains until the spring thaw. The frequent blizzards and deep cold set several records for temperatures and snowfall which stood until now. This month, those records were shattered. Not since 1881 have temperatures in April failed to rise above 50 degrees Fahrenheit in Fargo-Moorhead. April 2013 is also well on its way to standing as the coldest April on record, since record keeping began in 1881. To date, the average temperature has been just 35 degrees, a full 21 degrees below normal. For the farmers, gardeners, and citizens of the Fargo-Moorhead region, spring just can’t come soon enough! 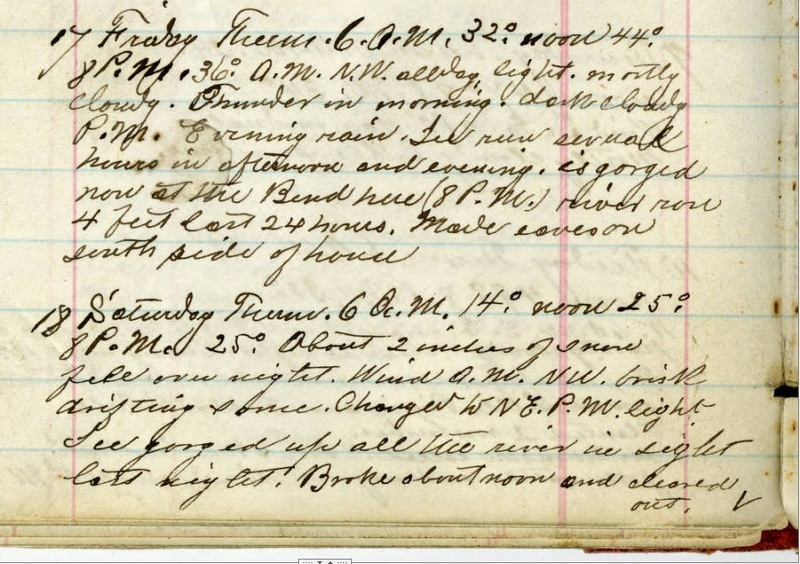 This entry was posted in HISTORY and tagged Probstfield Diaries, Randolph Probstfield, Record Temperatures, The Long Winter on April 18, 2013 by probstfield.